MUMBAI (Bloomberg) -- Tata Motors Ltd., the owner of Jaguar Land Rover, sold $750 million of stock to reduce debt after investors bid for more than three times the shares originally offered, said three people with direct knowledge of the matter. The share sale, which started Oct. 1, was increased from $525 million because of the demand from institutional investors, the people said today, declining to be identified before an official announcement. Tata Motors also raised $750 million a year ago selling convertible bonds and global depositary receipts to pare a debt pile now standing at $4.5 billion, according to Bloomberg data. Standard & Poor’s in August raised its rating on the company’s debt because of the fundraising and a rebound in luxury-vehicle sales amid the global economic recovery. Debasis Ray, a spokesman for Tata Motors, declined to comment on the share sale. The issue includes $550 million of so-called A shares with differential voting rights, the people said. The Mumbai-based company initially planned to sell $325 million of A-shares with an option to increase the offer in response to demand, according to a statement to the Bombay Stock Exchange today. The automaker also sold $200 million of ordinary shares, the people said. Citigroup Inc. and Credit Suisse Group AG managed the sale, according to the statement. 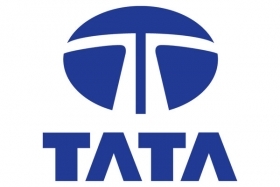 Tata Motors offered the ordinary shares at 1,074 rupees ($24.11) each and the A shares at 764 rupees, according to a term sheet seen by Bloomberg News. Tata Motors posted net income of 19.9 billion rupees ($447 million) in the quarter ended June 30, compared with a loss of 3.3 billion rupees a year earlier as demand for vehicles rose in India and overseas. Jaguar Land Rover, which Tata acquired for $2.5 billion from Ford Motor Co. in 2008, had a profit of 221 million pounds ($348 million) in the quarter. Indian companies have raised 179 billion rupees in so-called qualified institutional placements this year, according to data compiled by Bloomberg. Credit Suisse is ranked ninth in arranging such share sales in the period, one place ahead of Citigroup, the data show.